We take real satisfaction from satisfying our customers. 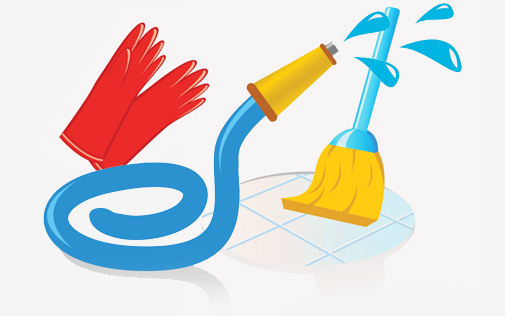 From cleaning to calls, we make sure each step of our business is personal, respectful and reliable. Amongst many professional certifications, Global Maintenance Services is a US Green Building Council Member and Green Clean Certified with a LEED AP on staff. We proudly boast 70+ years of experience in the janitorial industry, enabling us to provide the highest possible standards of service throughout. Based on genuine principals, Global Maintenance Services, Inc. has grown from strength to strength since family owners founded the business over 20 years ago. Global Maintenance Services, Inc. is a locally woman-owned Austin company, established in April of 1991. We have an excellent reputation of honesty, dependability and maintaining good communication with our managers and clients. To read more about what our expertise in the janitorial industry could offer your and your business, please view our services page or feel free to contact us via phone or email. "Our Mission Statement is to 'Value and encourage our workforce'. We are extremely proud to have loyal and highly qualified employees." − Sandy Dickey, co-founded Global Maintenance Services, Inc.
© 2019 Global Maintenance. All Rights Reserved.